Fendt is a prestigious, high-quality brand synonymous with innovation, efficiency, reliability and comfort. Thus, the Fendt franchise is a coveted one and only the most dedicated, knowledgeable and reliable need apply. 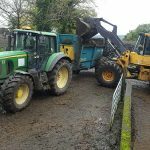 In Farmworks Machinery Ltd. – based in Ballyboughal, Dublin – the celebrated German manufacturer has found the ideal partner. We had a chat with founder / managing director Ciaran Tierney to find out more. There are many reasons why Fendt is held in the highest esteem: efficiency, technology, high power, optimal performance, unrivalled comfort, market-leading innovation and excellent resale value, to mention just some of the positive traits of this distinguished marque. 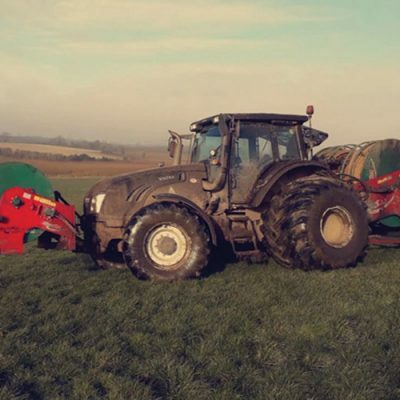 Operating Fendt tractors and machinery (mowers, rakes, tedders, harvesters, balers, loaders, sprayers) saves farmers and contractors downtime, with the exceptional levels of performance culminating in more work in less time and therefore increased profitability. It was a real vote of confidence in Ciaran, who has worked with Fendt all his working life and knows them inside-out. He’s building the new dealership up, ensuring that every customer receives a personal touch and a service that they can depend on. Founded in 1937 and purchased by AGCO in 1997, Fendt offers a range of tractors from 70-517 hp, from the 200 Vario Series through to the 1000 Vario Series, guaranteeing farmers a solution for every requirement. 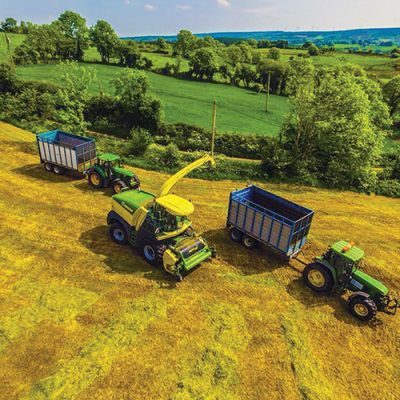 Combine harvesters, forage equipment, balers and loaders have all been added in recent years to complement the acclaimed tractor range, while AGCO/Fendt took another step on the road to becoming a full line manufacturer with its new range of trailed and self-propelled crop sprayers – the Fendt Rogator 600 and Fendt Rogator 300. Both model series have been developed in Europe and will be built at the AGCO Hohenmölsen plant (which is also the home of the Fendt Katana forage harvester) from 2018. The self-propelled Rogator 600 series comprises 3 models with a nominal capacity of 4000, 5000 and 6000 litres, and operating widths of up to 36 metres. Target groups include large acreage farms and contractors. The revolutionary chassis concept, the advanced boom control, and the extended technology and guidance system justify its premium tag. Meanwhile, the trailed Fendt Rogator 300 series is a completely new line. Based on the successful self-propelled Rogator 600, the new trailed sprayers with a nominal capacity of 3,300, 4,400, 5,500 and 6,600 litres have been developed with operating widths of 24 to 30 metres. The high-precision linkage control, perfect handling and optimal chassis concept, as well as the impressive reliability have been carried over to the new trailed sprayers. 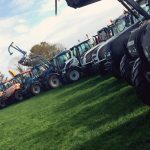 Alongside Fendt, Farmworks Machinery is also a main dealer for Kuhn agricultural machinery and Bednar tillage and seeding equipment, so there is certainly something for everybody! The well-stocked parts store, meanwhile, carries a comprehensive range of Fendt and AGCO / Sparex replacement tractor parts as well as consumables, oils, lubricants, etc. 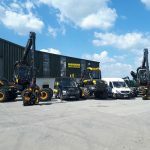 The signs are encouraging that further growth is imminent for Farmworks Machinery Ltd.: “I think we can grow it a bit more,” says Ciaran. 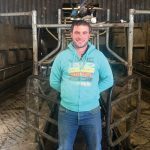 “We took on Brian Duane in sales last October, Brian worked for several years with a large Fendt dealership in the UK and is well placed to help grow and develop the brand. There are good financial packages available to customers through AGCO Finance, which obviously makes the Fendt brand even more attractive. 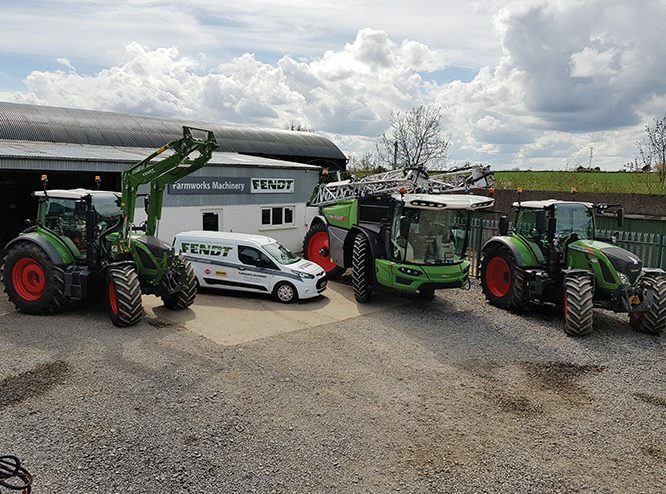 “Even though Fendt isn’t a volume brand, we have a large customer base not just in Dublin but from Dundalk, County Louth to Athy, County Kildare and north into Kilmessan, Trim and Kells in County Meath,” he concludes. 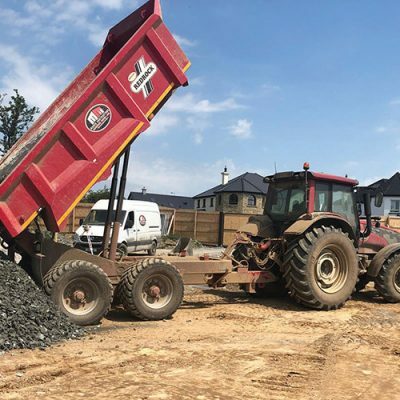 “We cover a vast area and we get a lot of repeat business because there’s good knowledge here and we know the product well and give a good service. Fendt does that to people; that’s why the brand enjoys such an enthusiastic and loyal fan base. And Ciaran Tierney of Farmworks Machinery is a season ticket holder.